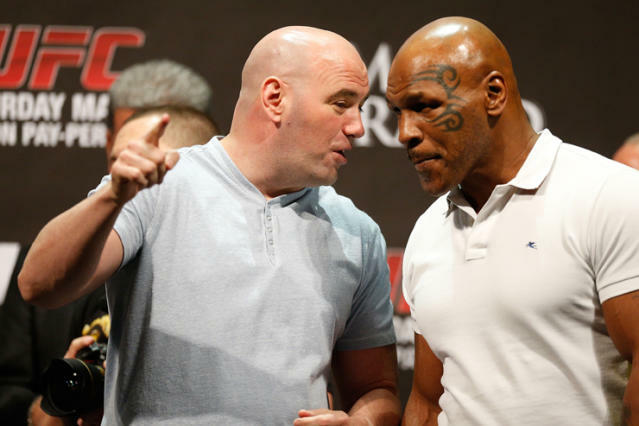 As far as fight-game celebrities go, UFC president Dana White is pretty high up on the list. White makes the day of many mixed martial arts fans when he responds to one of their tweets on Twitter, even if he insults them, as he often tends to do. White has become so popular in part for his willingness to engage his fan base. But on Thursday, White received a tweet from a very unique fan. Muhammad Ali, the man forever known as "The Greatest" and one of the most significant sports figures in history, sent a tweet to the UFC president. 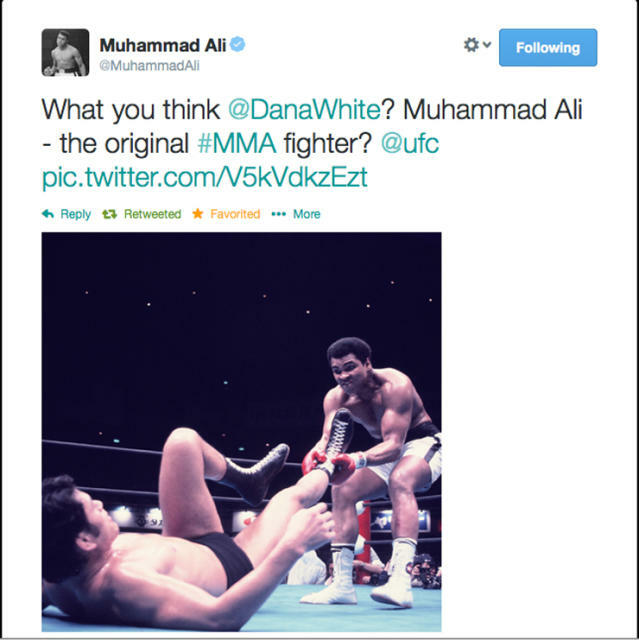 Ali was a three-time heavyweight boxing champion, but he sent a picture of him in his fight with pro wrestler Antonio Inoki and wrote, "What do you think @DanaWhite? Muhammad Ali -- the original #MMA fighter." In texts to Yahoo Sports about Ali's tweet, White wrote, "AMAZING!" and "I'm losin it!" It's not every day one gets noticed by a legend, and this time White had his day made by someone tweeting to him. White responded with a tweet of his own: "U sir are the original EVERYTHING! Ur the reason combat sports is where it is 2day Greatest tweet Ive ever recieved Im honored"